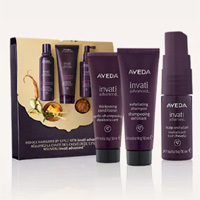 Aveda wants you to try out free samples of their haircare products so they are giving away free samples of Invati™ Shampoo Kit. Follow our link, scroll down and find you nearest store and pay them a visit and get your free shampoo kit. Click GET FREEBIE button, find your nearest counter and get your free sample.